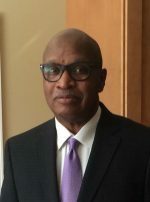 Bill Lawson, professor emeritus, Distinguished Professor of Philosophy at the University of Memphis, became the first African-American to receive a Ph.D. in philosophy from The University of North Carolina in 1980. His academic specialization is African-American philosophy and social and political philosophy, and his published works include “Pragmatism and the Problem of Race,” 2004; “Faces of Environmental Racism,” Second Edition 2001; “Frederick Douglass: A Critical Reader,” 1999; “Between Slavery and Freedom,” 1993; and numerous scholarly articles. Lawson’s current research includes editing an anthology with Celeste Bernier on Frederick Douglass’ writings on photography and the use of his photographic image. He has testified before a U.S. Congressional subcommittee on welfare reform and was a 2011-12 Fulbright Fellow at the University of Liverpool in London. Lawson is also a U.S. Army Vietnam veteran (1967-69) and a member of Alpha Phi Alpha Fraternity, Inc.
Lawson’s path to UNC was a nontraditional one — after graduating from high school in Philadelphia, he spent six years working, traveling and serving in Vietnam with the United States Army. In 1973, Lawson transferred from North Carolina Central University to UNC, where, under the mentorship of William Rand Kenan Jr. Professor of Philosophy Paul Ziff, he received his bachelor’s degree, master’s degree and doctorate in philosophy. Lawson said that transferring to UNC was a turning point for him socially and professionally. Having taught at Spelman College, Montclair State University, West Virginia University and the University of Delaware, where he was the first African-American to chair the humanities department, Lawson has compiled a respectable record in the field of African-American philosophy, achieving the highest rank in his profession while also maintaining a connection to the communities that made him. Throughout his scholarly work, Lawson took great care to listen to the voices and concerns of people around him. He has been a courageous exemplar, unflinching and fierce in his commitment to black intellectual traditions and in his solidarity with other oppressed groups. Many also say that Lawson is much more than an academic role model. His generosity and kindness stand out in the way he dedicates himself to being a mentor, constantly going beyond the duties of his job as a professor. It was not uncommon for students to spend hours in his office. He also welcomed students into his home, where he prepared meals, offered advice and gave each the gift of family. Lawson’s students say that his actions always speak louder than his words, both in his scholarship and conduct with students. He has a gentle spirit, an expansive intellect and a deep love for his friends, students and family. He is a living example of excellence and requires that his students do the same. He applies his gift to uplifting the people and the discourses to which he is connected. And while he moves fluidly throughout the academy, it is clear that Lawson takes himself and his work to be rooted in the African­American community and broader global African diaspora of which he is a part. As such, there is always purpose in the pruning and wisdom in the watering. That purpose is to elevate, to bring justice, to raise the difficult questions, and to do so in a manner that brings together rather than excludes. The wisdom is that Lawson does this without others noticing it’s happening. Lawson’s humility and unassuming approach to excellence also allows him to be unflinching and fierce in his commitment to black intellectual traditions and in his solidarity with other oppressed groups. Now in retirement, Lawson still offers advice on how to manage professional relationships, how to maintain good habits of reading and writing, and lessons on how to let things go.